Want your baby to come home and have a bright nursery to stimulate their site, cheap way to do that is using Tissue Paper Poms Poms they are affordable and very easy to use, come complete with instructions. 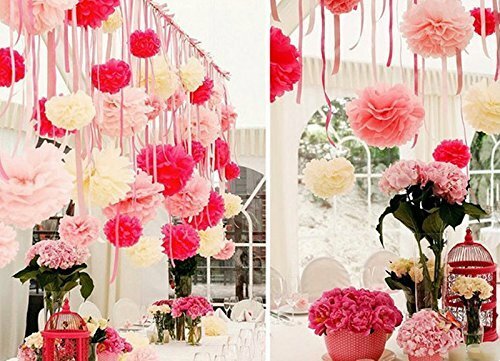 Don't let that special occasion look lifeless add color and use pom poms for they do look so beautiful and compliment them with lanterns and you will have an amazing looking event. 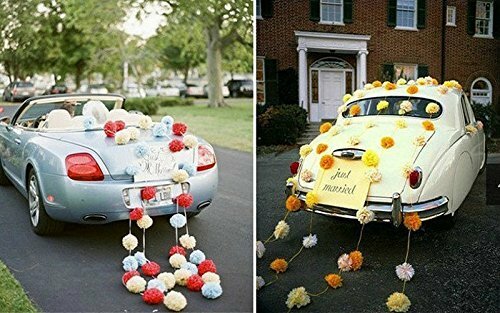 Decorating your home, nursery or having a party Tissue Paper Pom Poms are a very cheap option for making everything look special. Bring a puff of rich texture to your party with this Black Tissue Paper Pom Pom Decoration. Ideal for decorating a birthday party, Halloween party, graduation party, or other special occasion. 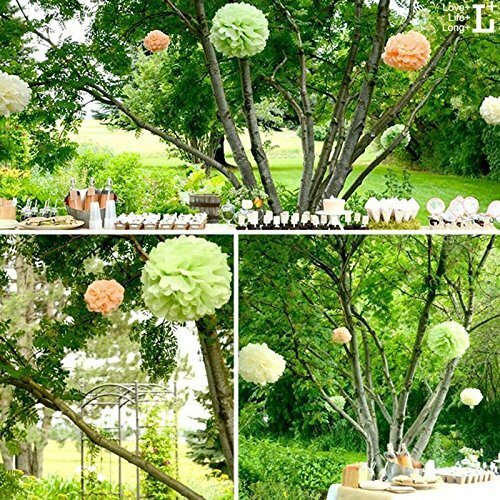 Hang these party decorations from your ceiling, doorways, or fence posts to create a fun & colorful party atmosphere. Coordinate this tissue paper ball with other hanging decorations such as paper fans and streamers to create the perfect decoration theme. Due to the different light and computer monitors, the color maybe slightly different as pictures. Warm note: We appreciate your understanding and positive feedback so much, for any concerns, please send us an email, we will surely offer you a satisfaction resolution.